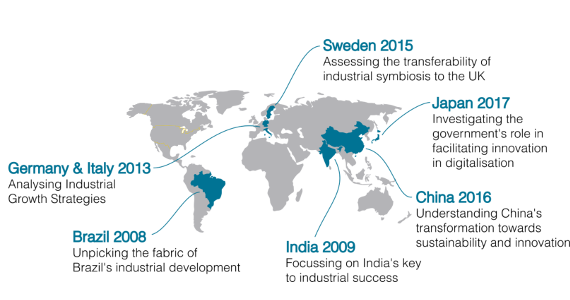 The Overseas Research Programme is an integral part of the Cambridge Manufacturing Engineering course. Its goal is to expose students to current international manufacturing issues and to develop their industrial awareness, technical skills and analytical thinking. Following the trip, the findings from the programme are summarised in a professional report and are presented to sponsors, academics and other interested parties. IfM students have an extensive skill set that makes them ideally suited to a wide range of industries. The IfM offers its students the opportunity to undertake several weeks of industrial placement during the course, as well as a number of industrial visits, lectures from industry and large team projects. This results in graduates with excellent commercial awareness, project management, teamwork and communication skills. 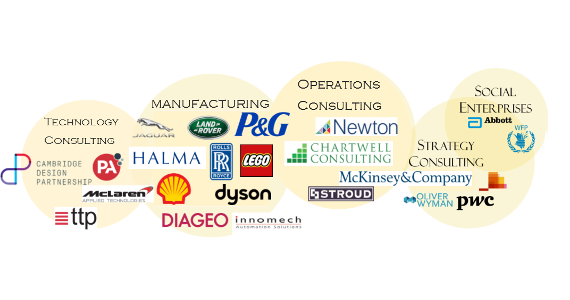 Past graduates have gone on to make a difference in a wide range of roles across numerous industries. 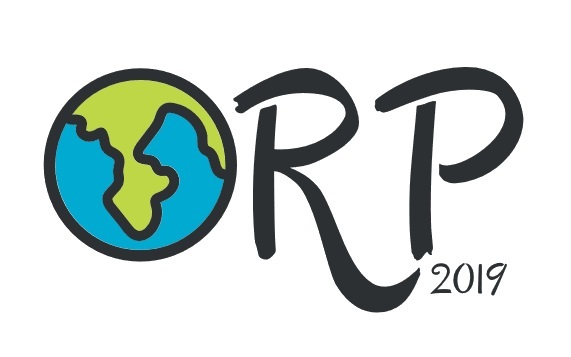 Supporting the ORP via sponsorship will give you direct access to future leaders of business and technology firms who not only possess in-depth technical knowledge but also interpersonal and management skills. 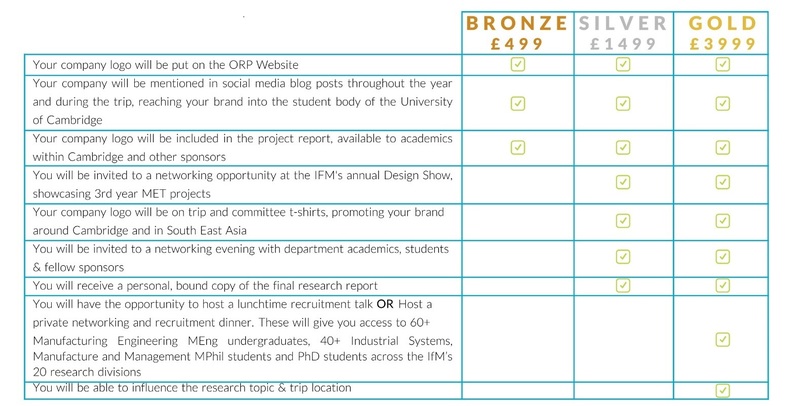 Our sponsorship packages allow for targeted recruitment, networking opportunities within the IfM as well as promotion of your brand across the University of Cambridge network. The following sponsorship packages are a guideline to what we offer, however, these benefits can be negotiated and tailored to the exact needs of your company. Sponsorship can take many forms. You can also assist ORP by donating 'gifts in kind' that we can use during the trip. For example, accomodation at corporate rates, airmiles, transport or meals. Sponsors who donate these gifts will receive the sponsorship level equivalent to the value of the donation. Industrial Symbiosis: How should the UK engage?